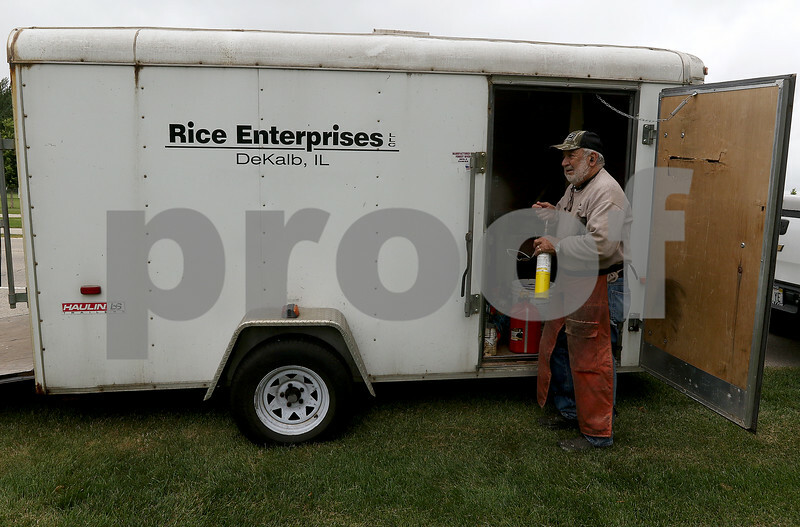 Dr. Ron Rice retrieves a torch from his supply trailer at a friend's home as he works on a bear statue on Fairview Drive on Friday, Aug. 4, 2017 in DeKalb. Rice, a former chiropractor, has taken up wood carving since retiring from his practice five years ago and has statues located at the Sycamore Forest Preserve and at Wesleyan Church. "I don't think anyone else around here is doing much of it, not like I do anyway," Rice said. "It's something to do. It's kind of a fun thing, it keeps me out of my wife's hair."